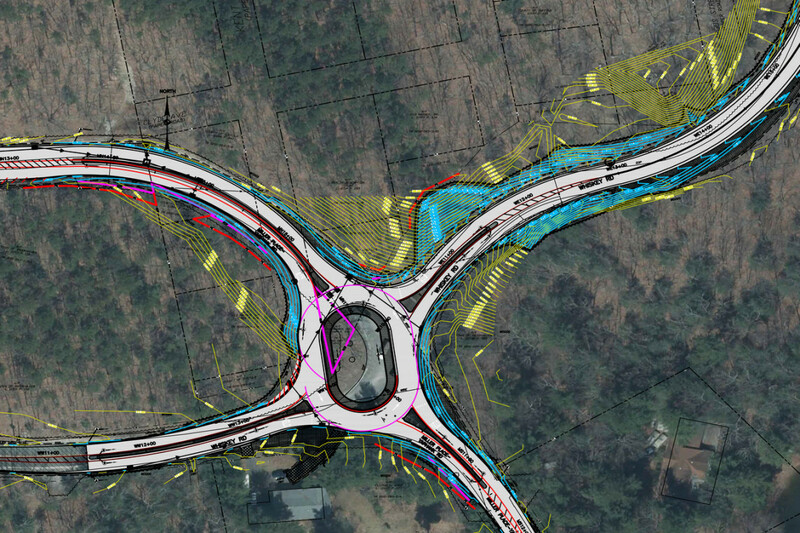 LKMA prepared design plans for a modern roundabout at the intersection of Whiskey Road with Miller Place-Yaphank Road in Middle Island. 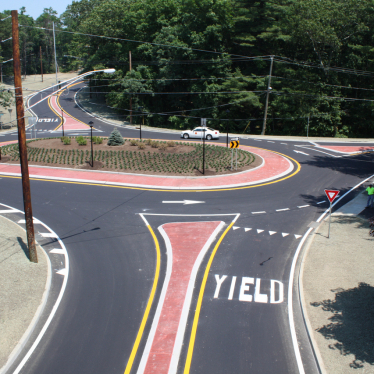 The roundabout improves safety and capacity at the prior intersection which had offset approaches on Whiskey Road. 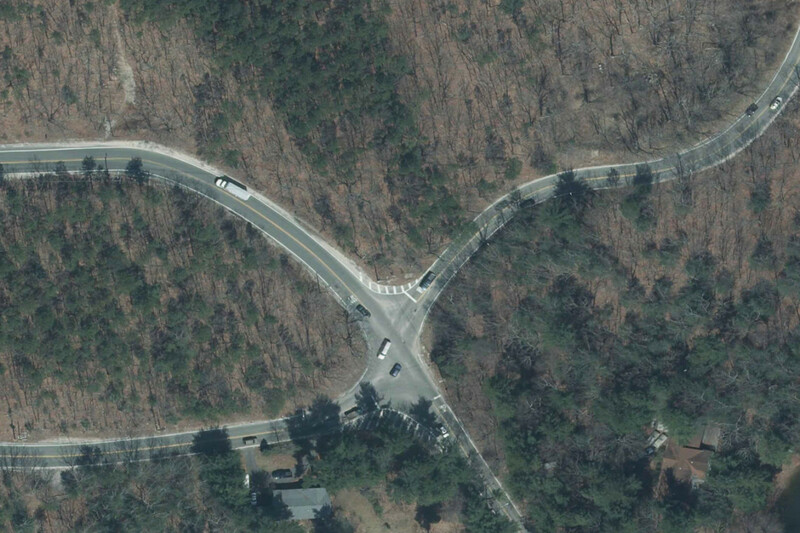 Horizontal and vertical alignments were improved on Whiskey Road. The shape of the roundabout was modified to avoid impact on properties preserved for open space purposes. 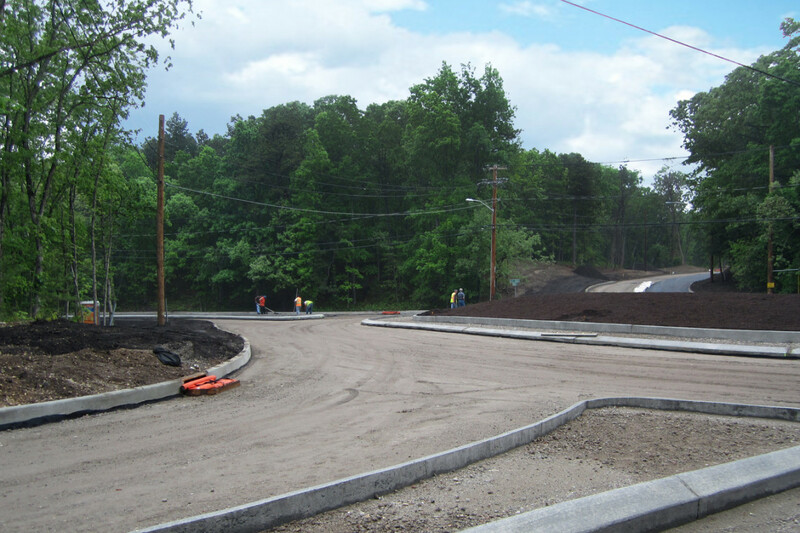 This traffic calming measure was funded primarily by the Federal Highway Administration, under NYSDOT’s Local Safe Streets and Traffic Calming Program. LKMA also provided survey, mapping, and construction inspection services. 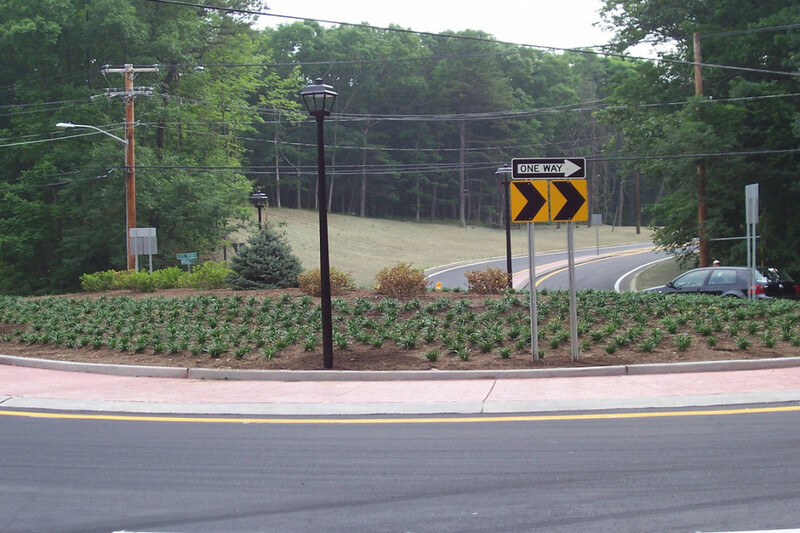 Innovative oval-shaped roundabout, an "Eggabout"
Single-lane roundabouts reduce the number and severity of traffic accidents and are less confusing to motorists. Designed to accommodate significant tractor trailer usage. Decorative roadway lighting which is energy-efficient and "Dark Skies" compliant.